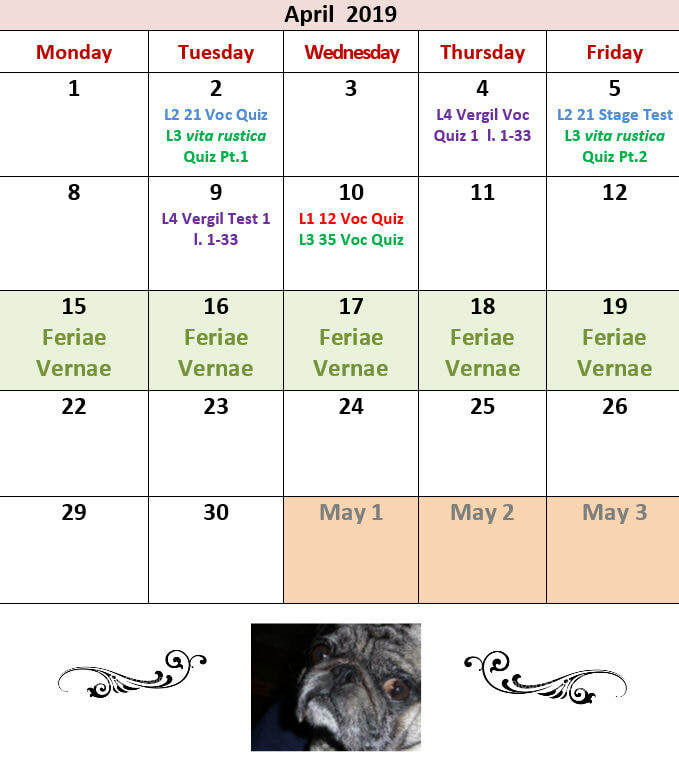 The calendar gives important dates, deadlines, tests and quizzes. The links above will take you to pages that will give more specific information for each level of Latin. There you will find a running agenda of classwork, homework assignments, important handouts that you may have misplaced, reviews for tests and quizzes, as well as links to on-line quizzes to help you master each lesson.